An upscale, casual space to gather and enjoy top flight fare, quality spirits, a well-rounded wine list and warm ambiance. 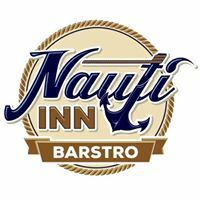 The Nauti Inn features a flavor-forward menu specializing in Tapas style dining, locally sourced specials and homemade desserts. Located in the heart of Downtown and adjacent to the Cheboygan River city docks, the Nauti also offers seasonal outdoor patio seating and live music events.